Design Lievore Altherr Molina 2014. 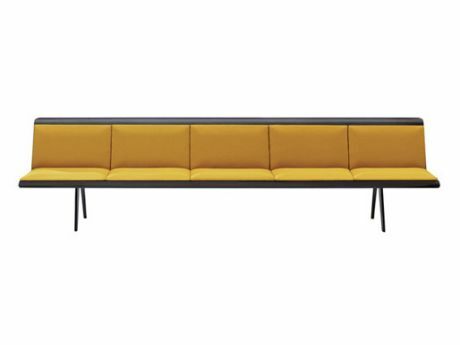 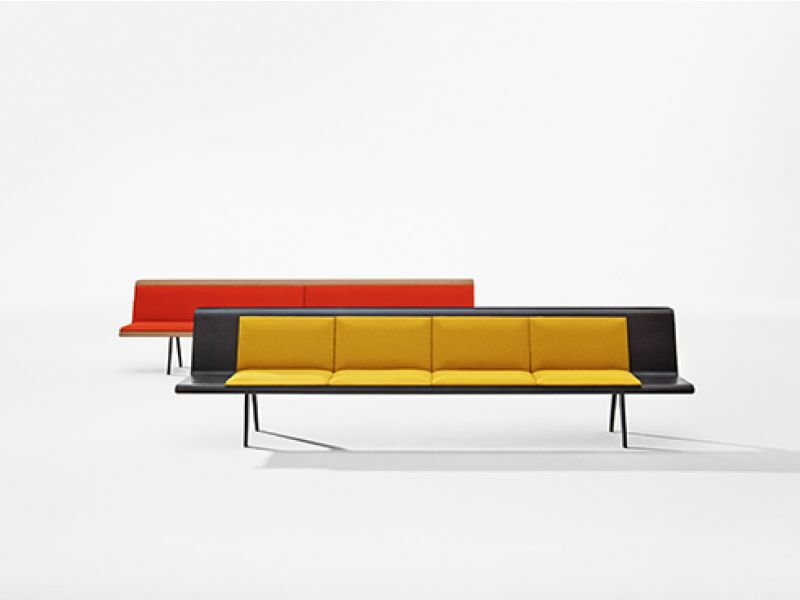 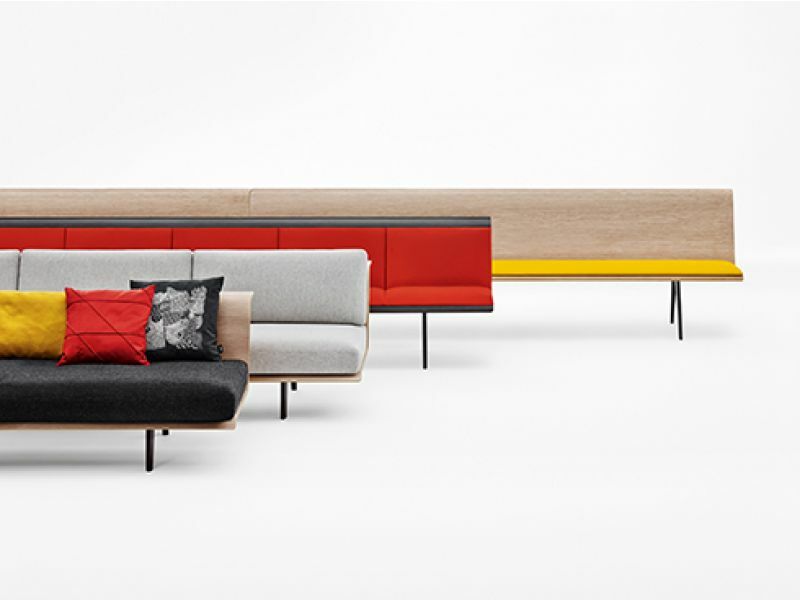 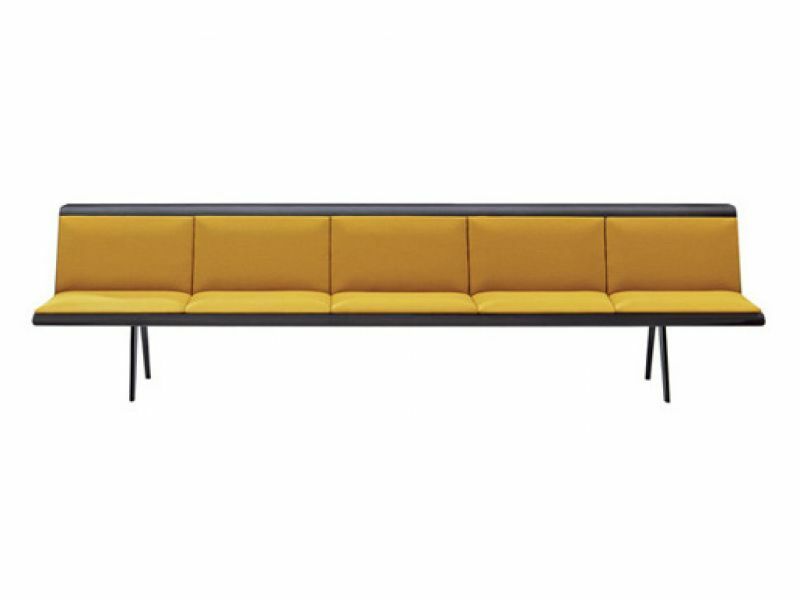 Graphic, lightweight and fluid, Zinta is a modular sofa system defined by the harmonious juxtaposition of smooth lines and warm materials. 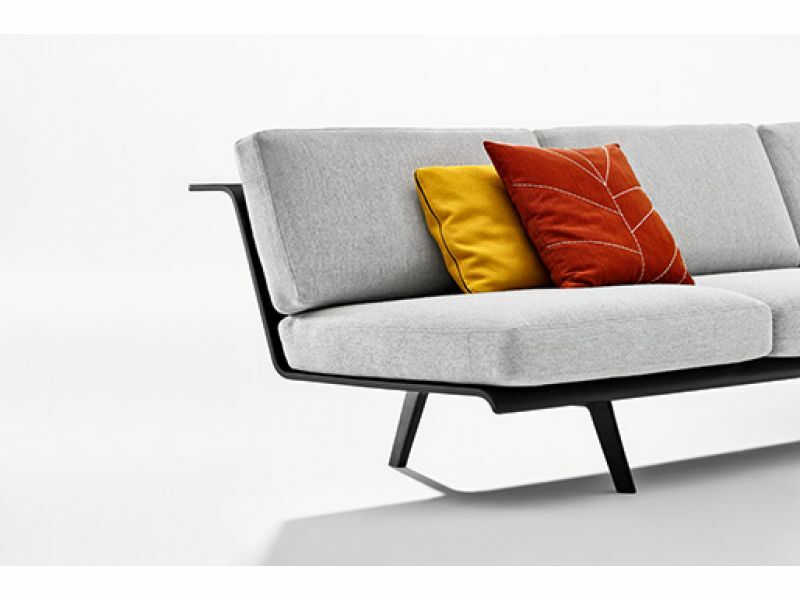 Its deep seat perfectly supports the casual recline of the body. 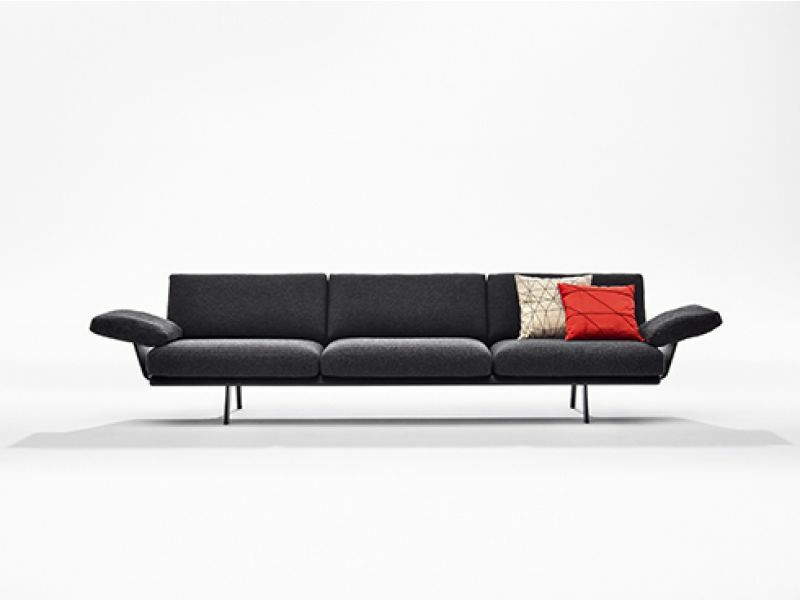 Its system of variable lengths and gentle angles allows it to weave through space with subtle dexterity.